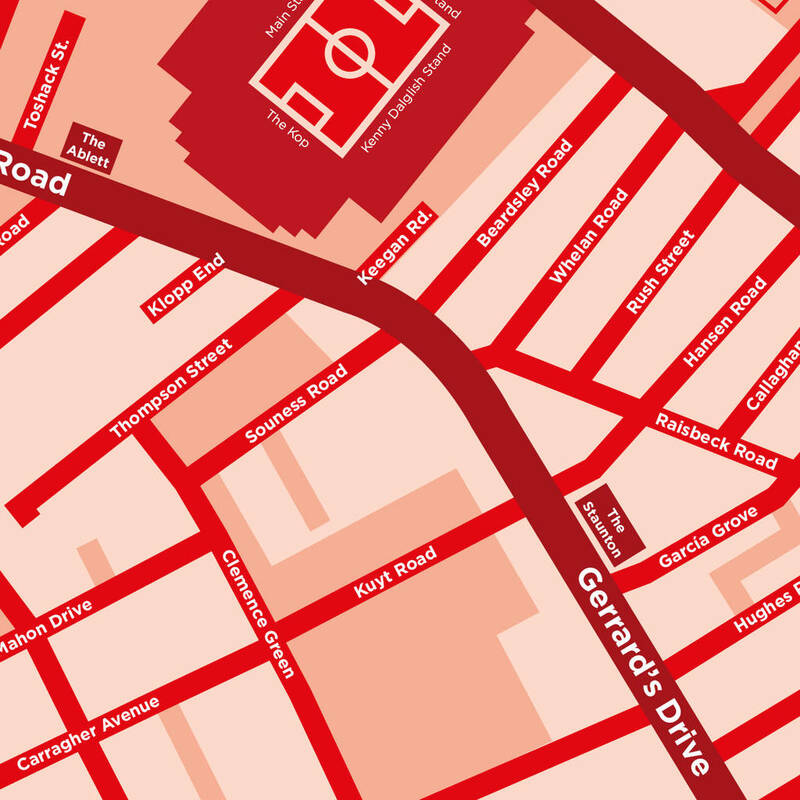 A map of Anfield in Liverpool containing all the legends of the club as the names of the streets surrounding the world famous stadium. 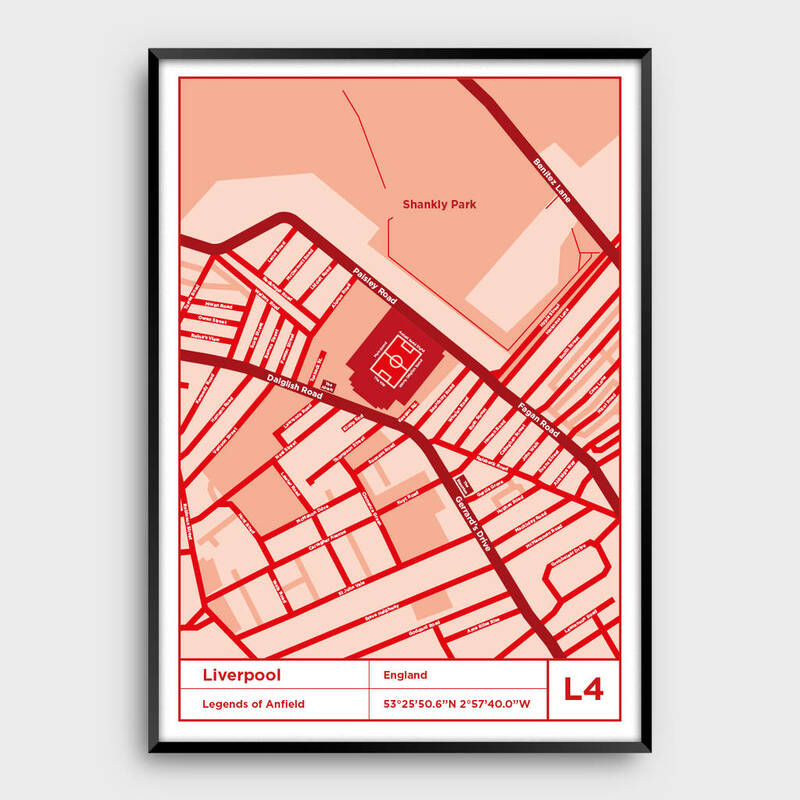 These stylish and unique football posters and prints make great gifts for Liverpool football fans. 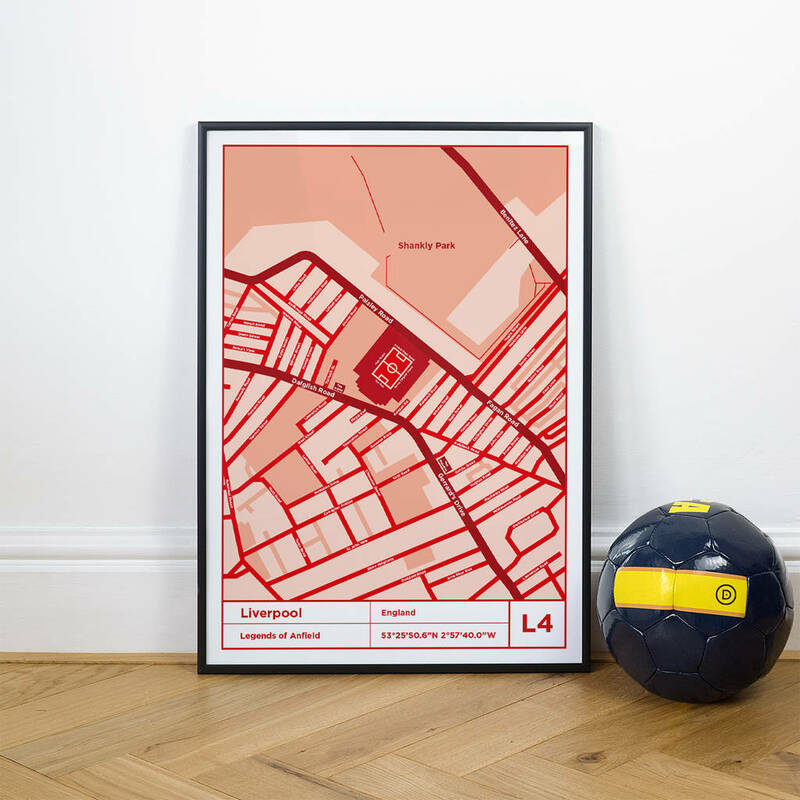 All our typography prints come beautifully printed and packaged, making them the perfect gift for the passionate football fan. All prints come wrapped in acid-free tissue paper and carefully packaged in tubes or hard-back envelopes. Unframed: Frame for display purposes only. For frames to fit all standard A4, A3 and A2 sizes visit Best4Frames website. 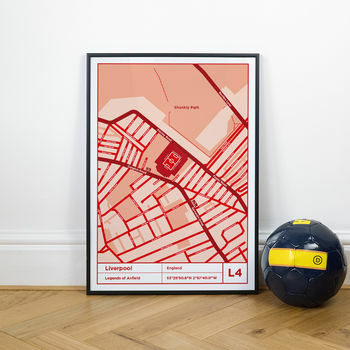 This Liverpool football stadium map print is one of many football club posters and prints we have designed. Please browse the shop to see more, or contact us if you are looking for something specific. Each print is individually hand embossed with the artists stamp and has a signed certified label on the back with the artists’ information. All prints are giclée printed onto a bright white, 315gsm premium quality fine art paper stock with outstanding print quality and stunning depth of colour. Our prints are unframed, image for display purposes only. We can make some custom sizes, please get in touch if you require something specific. For frames to fit all A sizes visit the Best4Frames website where they have Nielsen frames that are great quality and come with either glass glazing or plastic glazing options. This product is dispatched to you by Dinkit.